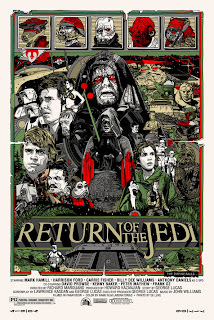 Remember the end of Return of the Jedi? 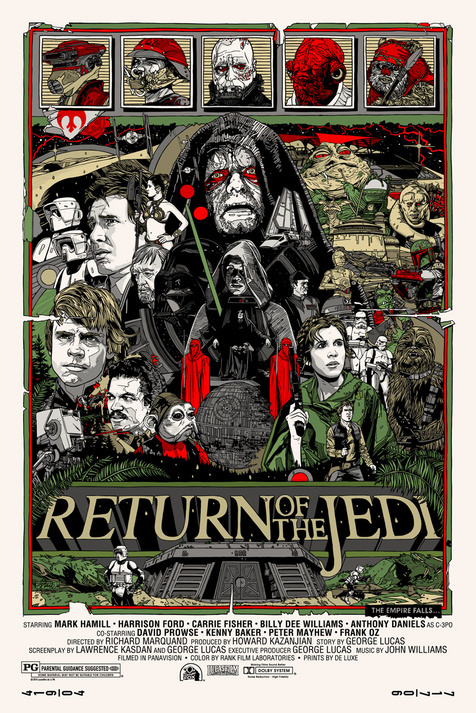 Multiple scenes were playing out at once: Han and Leia were battling to knock out the ground-based shield generator, Lando and Chewie were attacking the Death Star, and Luke was confronting Darth Vader and the Emperor. Every leg of the tripod had to lock in place for their mission to succeed and bring down the Empire. Tense stuff. Scenes like that almost never happen in RPGs because players are drilled to never, ever, under any circumstance, split the party. If the DM does pry them apart, he faces the prospect of half the table rolling dice and having fun while the other half spectates. Eventually the spectators will get their turn, but that just means the table flips and someone else watches the party through the window. Some GMs can handle this situation with flair, but most would rather not try. It's a road fraught with peril. Here's an alternative worth considering. And so on, back and forth, until both scenes hit a climax. Besides the obvious advantage that everyone is always in the action, players also get a chance to step out of their usual roles and be a different type of hero for a while. Better yet, because they have nothing invested in the NPCs, players can take insane risks in the name of heroism. "It's a suicide mission, but someone needs to delay a dozen ogres at this gate!" "I'll do it, Captain. No need for thanks; you can buy me a drink when we meet in Hell!" Players get the emotional involvement of a story that they're invested in with treasured characters plus the wild abandon of a one-shot game with disposable heroes. It can even be structured so the NPCs must sacrifice themselves to achieve victory, though that path isn't for everyone. One set of characters can't be everywhere at once, but the players can be, at least for a while, with a bit of planning by the DM. If you have any interest in publishing your own game material, then you need to read this series of articles on how to do it right, by Guy Fullerton of Chaotic Henchmen Productions. Others have tackled this subject before, but few have done it this well. I wish that such a series had existed in 1981, when I started working at TSR as an editor. 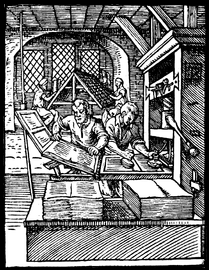 We figured it all out by trial and error, too, the same as Guy and countless other publishers between then and now. With a few notable exceptions, the RPG business is an amateur playground. Thanks to the magical combination of the internet, desktop publishing, print on demand, and the lingua franca of PDFs, roleplayers are enjoying a bounty of unfettered publishing. If you have dreams of jumping into the pool, too, read Guy's advice first. It won't push you away with discouraging anecdotes; that's not the point at all. It's a straightforward primer on how to avoid the common, painful mistakes everyone makes during the transition from amateur to professional. Even if you have no desire to publish anything, you'll gain a better appreciation for the tremendous effort behind those third-party gaming products that folk devour so blithely. 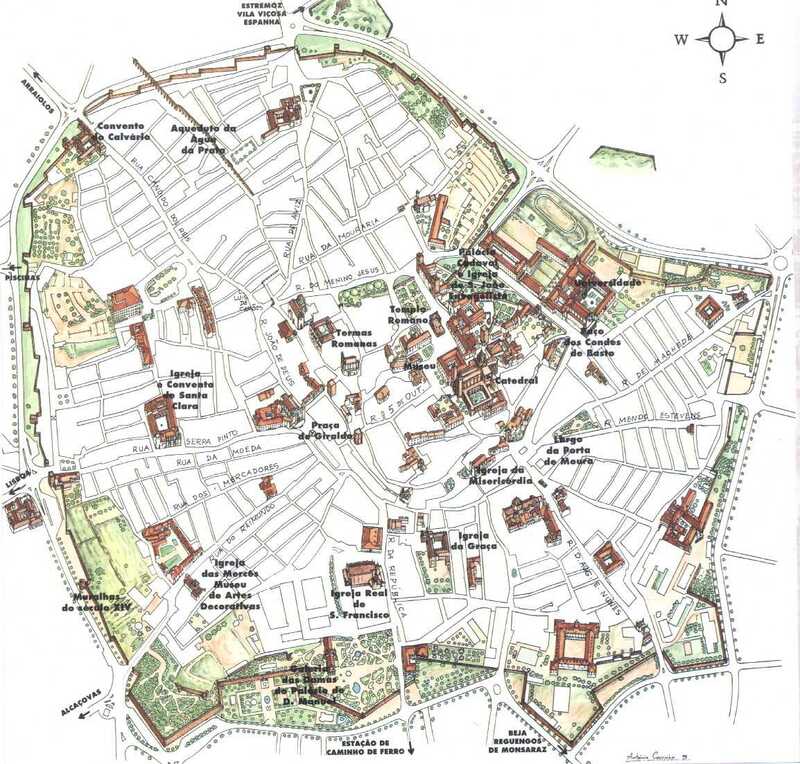 I'll close the week on city maps with a few resources that you might find helpful with your own city mapping. Start with Google. 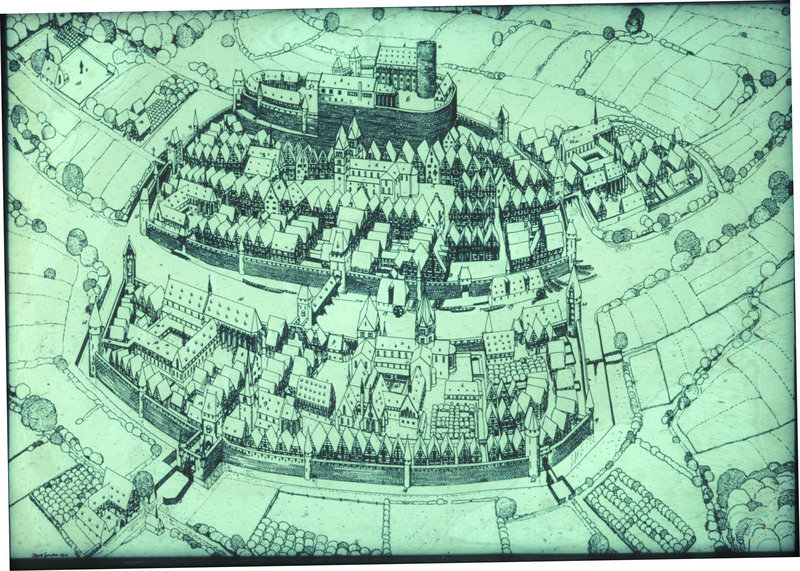 Hit "medieval city map," select images, and you'll get fold after fold of useful links. Many of them could be copied as-is, relabeled, and dropped into your campaign folder. Replace "medieval" with "ancient" and try again; you'll get another crop. Here are a few of my favorites. 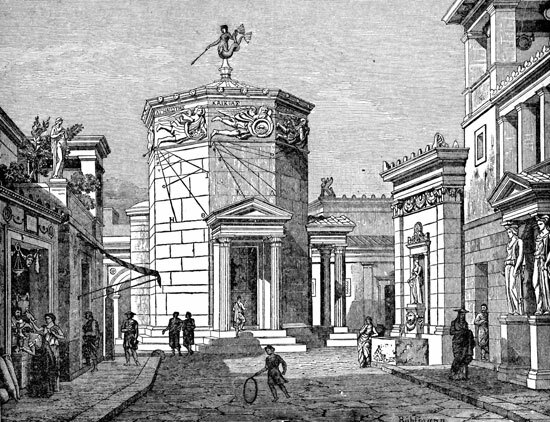 Historic Cities. An amazing website. Bring lots of time. Don't miss Towns of the Outlands from Midkemia Press, published in 1981. Midkemia now makes this available as a free PDF. 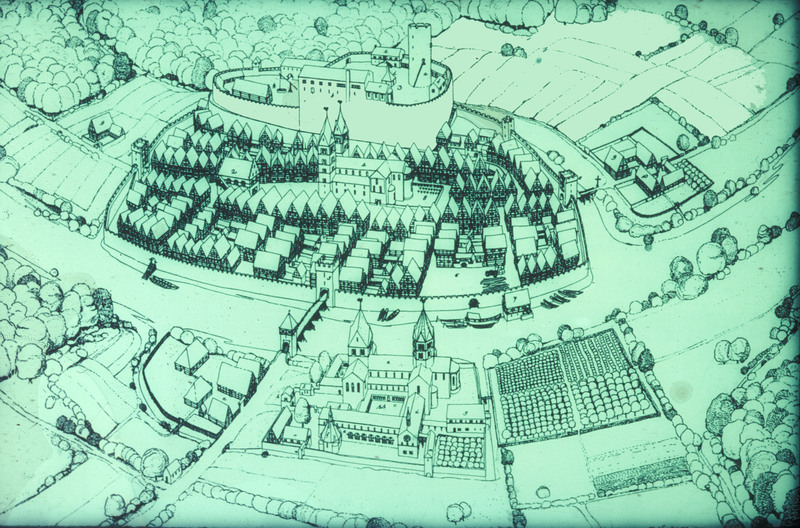 The booklet describes six fleshed out towns that you can drop into any FRP setting. Follow the Products link to the download page. Cities is excellent too. It's not free, but it's well worth the $5 Midkemia is asking. 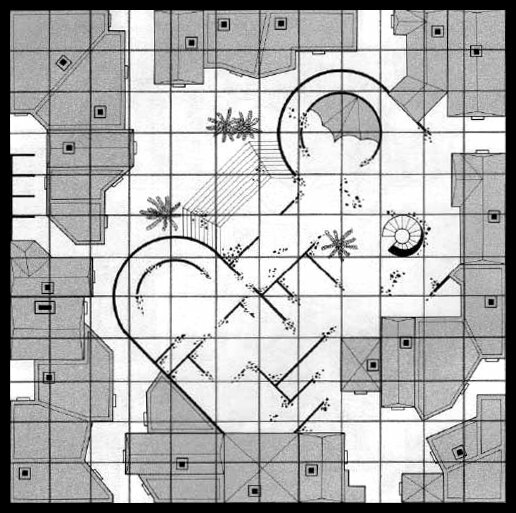 Three products come to mind immediately when I think about city maps that are unusual because they were designed foremost to be functional: Lankhmar, City of Adventure, The Silver Key, and John Carter, Warlord of Mars. 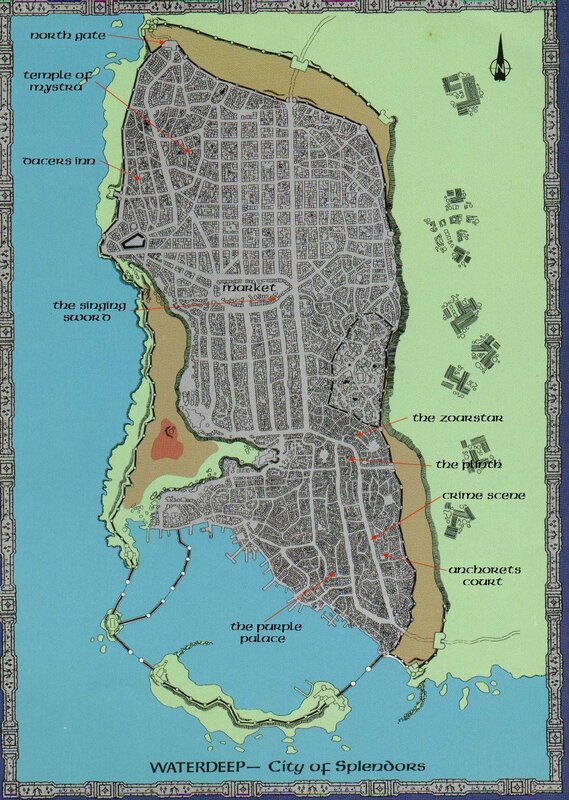 One of the most useful city maps produced for an RPG was the one that accompanied Lankhmar, City of Adventure. 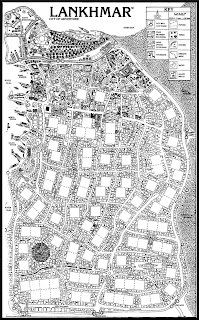 The most notable feature of the Lankhmar map is the blank spaces scattered through the neighborhoods. 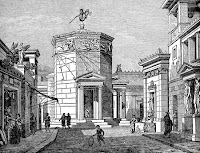 Everyone knows the buildings and businesses that line the main thoroughfares; the surprises are hidden in the streets and cul-de-sacs off the avenues. 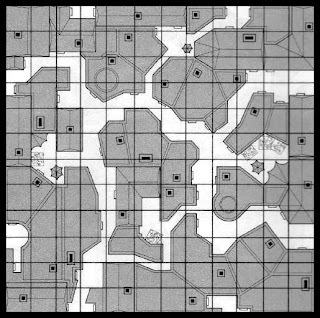 A separate booklet provided twelve geomorphs that could be plugged into those blank spaces as desired. This gave the DM an unprecedented level of control over the layout of a published map, kept players guessing about what they might find down any given lane, and shifted the emphasis of play away from the brightly-lit boulevards to the dim alleys and shadowed doorways -- completely appropriate for a place like Lankhmar. 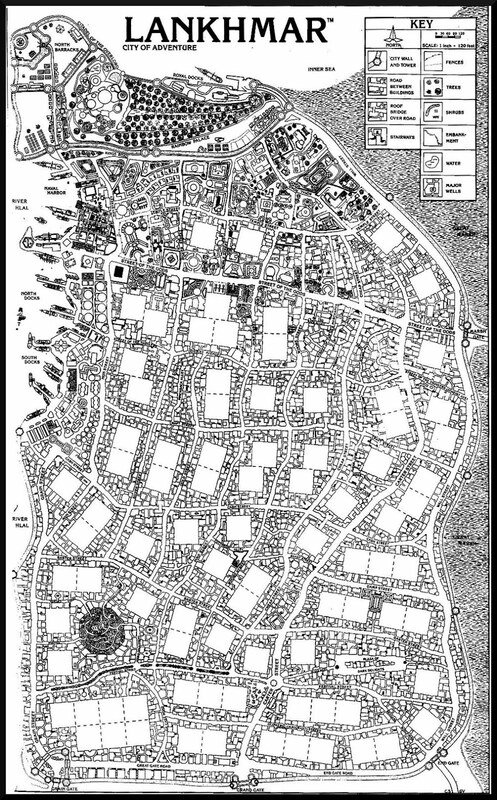 I tend to both love and hate the city maps that are produced for RPGs. Almost universally they're pretty to look at but largely useless, unless your idea of being useful is hanging on the wall between posters of a Lamborghini Murcielago and Scarlett Johansson as Black Widow. I stare at those posters as much as the next guy, but I want my maps to be useful as maps and as gaming tools. Which begs the question, what makes a map useful gaming tool? In real life, we use maps to find our way around unfamiliar terrain. In games, we tend to let dice rolls and narrative necessity fill that role. Let’s start with a bad example. 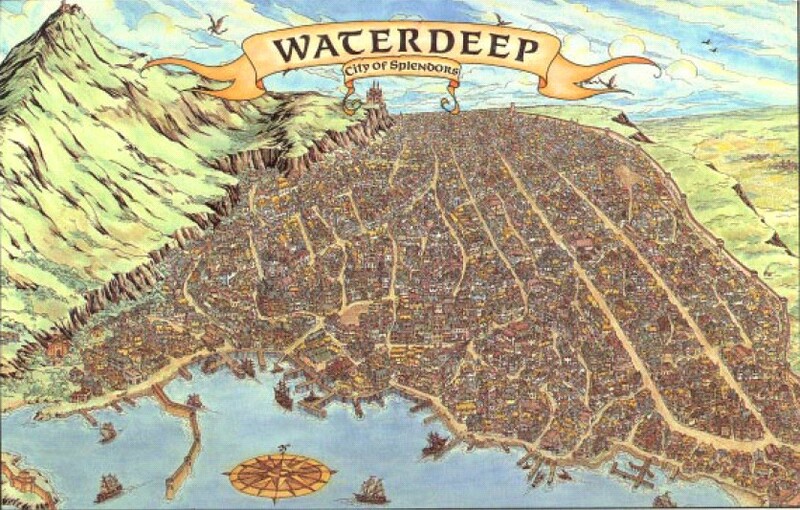 The first map of Waterdeep is a good illustration of a map that stirs the imagination but conveys little useful information. I barely consider it a map at all; it’s a wall hanging, pure and simple. The second map is only slightly better. It looks like a real map, but beyond providing the names of a few places, it still doesn’t tell me much. It should come as no surprise that I’ve collected a few samples of city maps that scratch a different itch from posters like the ones above. The North Texas RPG Con was held last weekend, and for the third time I was honored to be a special guest. This convention is one of the most enjoyable trips I make during the year. I ran four game sessions with four different rulesets (D&D B/X, Star Frontiers, Gamma World, and The Fantasy Trip), reminisced with old compatriots from TSR, made new friends, and generally had four days of fantastic fun. Every convention stamps certain lessons on your brain. Most of these are things I've known for years, but having them reinforced is always valuable. When it comes to air travel, being lucky is better than being smart. Dallas/Fort Worth Int'l Airport was all but shut down by lightning storms on Wednesday evening, when most of the convention guests flew in. Hundreds of stranded travelers were scouring the area for hotel rooms. There was a line of people hoping to check into the Bedford Hotel at 2 a.m. Some of them had been told that they'd be stuck in town until Friday before the airline could get them back on a plane. The phone at the registration desk was ringing nonstop and largely going unanswered. Adventure hooks are those little clues that DMs drop here and there to attract characters to particular adventure areas, usually the ones the DM has invested considerable time and energy into detailing. They can take many forms, but what’s important is that they tantalize the players enough to whet their appetites for more. Adventure hooks are the carrots that get players to pull the cart of the campaign along a path of the DM’s choosing. Some DMs are blessed with players who go wherever the DM suggests they go, in accord with an implicit player/DM compact and a great deal of trust that the DM won’t steer them down the broad, straight path to Hell. Other players constantly tug in their own direction, oblivious to the DM’s desires. They might be actively trying to throw the DM off balance or just being contrary. 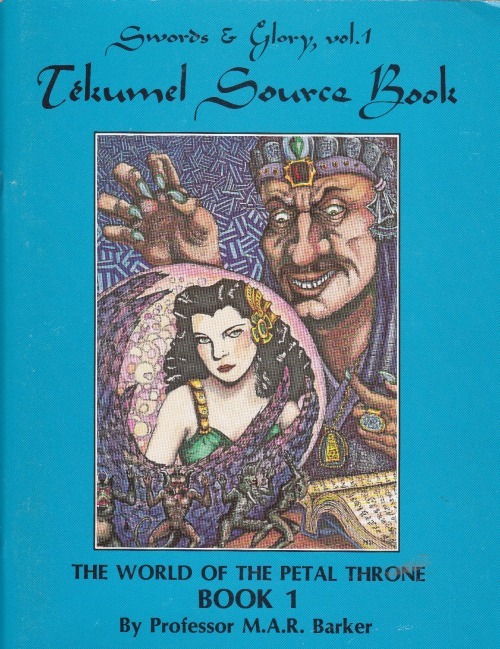 My first efforts as a DM were with published D&D adventures: D1–3, Descent Into the Depths of the Earth, Shrine of the Kuo-Toa, and Vault of the Drow. We bombed through the series in two marathon sessions. Those adventures produced great moments and great memories. I still shudder, however, when I think about some of my rookie DM mistakes. Most of my errors came from a lack of preparation. I made the mistake of believing that because I had page after page of professionally produced adventure material, my work was already done. I’d read the adventures beforehand, but not in great detail. I had the gist of it and assumed the rest would flow naturally from quick checks on the fine points during play. I was wrong. Two problems came up repeatedly. In just 48 hours, I'll be climbing aboard a plane headed for Dallas and the North Texas RPG Con. This has become one of my favorite trips of the year. The show is small--it broke the 100-people ceiling last year. A recurring core of people attend every year, so there's a comfortable, reunion air about it. Everyone comes for one reason, and that's to cram in as many hours of old-school RPGs as possible. It's also a great opportunity to reconnect with friends I worked with at TSR, like Zeb Cook, Erol Otus, Jim Ward, Frank Mentzer, Jennell Jaquays, Diesel, and other fine folk. I have four games to run over the weekend: D&D B/X, Star Frontiers, Gamma World, and The Fantasy Trip. They're getting polishing touches today and tomorrow. NOAA predicts heavy rain and temperatures in the high 80s for Dallas, which will be a complete change from the eyeball-searing sun and triple-digit temperatures of past years. I'll try to post photos and con reports as the weekend unfolds, either here or on Facebook. Here's the standard disclaimer that it's a busy time with loads of distractions. I make no promises, because I'm Chaotic enough to renege on all of them and Good enough to admit that up front.